April 6, 2010 (South Lake Tahoe, Calif./Nev.) 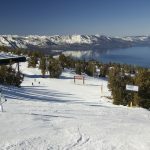 – Lake Tahoe South Shore (http://www.TahoeSouth.com) is prepared for a major weekend of skiing and riding with 1.5 to 2.5 feet of light dry powder falling in the past 24 hours on area ski resorts: Heavenly Mountain Resort, Sierra-at-Tahoe Resort and Kirkwood Mountain Resort. Weather is forecasted to clear up throughout the week with temps in the mid to high 50s providing Lake Tahoe with convenient access and deep powder spring skiing conditions under abundant sunshine. 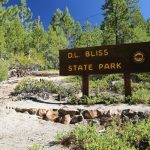 “South Shore’s beach parties on the snow are in full force,” said Carol Chaplin, executive director of the Lake Tahoe Visitors Authority. Caltrans has up-to-the-minute California road conditions at or call 1-800-427-7623 or 916-445-7623. For Nevada road conditions call 877-687-6237. 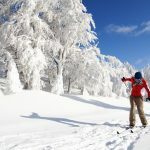 Book two nights with Heavenly Mountain Resort and ski or ride one day this spring, get the third night and second day free. Prices start at just $191 per person. Valid through 4/25/10. 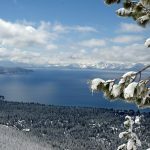 For real time updates on events, promotions, conditions and what’s happening in South Lake Tahoe, The Lake Tahoe Visitors Authority is on Twitter: @SouthShoreTahoe and on Facebook: www.facebook.com/tahoesouth.